In an effort to reduce unnecessary and frivolous litigation, ensuring that only legitimate construction defect claims proceed to trial, the Florida Legislature enacted a law that requires each construction defect matter to go through a pre-suit procedure. Retaining the services of an experienced construction defect attorney, with specific knowledge of the Florida Law relating to litigating construction defects, is essential for ensuring that a construction defect claim proceeds according to the law. One important issue is the many deadlines that must be met to avoid tripping statutes of limitations or repose (laws that limit how long a plaintiff has to take legal action). Recently, a Florida Appellate Court held that the pre-suit notice filed before the statute of repose expired, even if the actual lawsuit was filed after this time, qualifies as the initiation of a legal action, thus preventing the matter from being barred by the statute. A discussion of the Statutes of Limitation and Repose in construction defect matters, as well as practical tips to ensure that these deadlines are not missed, will follow below. As alluded to above, a property owner’s ability to recover compensation for a construction defect does not extend for an indefinite period of time. Rather, there are two major deadlines that all property owners must be aware of before the time for filing a construction defect related lawsuit has been extinguished: the Statute of Limitations and the Statute of Repose. Completion or termination of the contract between the professional engineer, registered architect, or licensed contractor and his/her employer. Although the Florida Appellate Court, in the case mentioned above, noted that the Section 558 Pre-Suit Notice, if filed before the end of the Statute of Repose, counts as an action, it is nevertheless important to realize that, even with the above-stated deadlines, it’s really not prudent practice to file an action – whether that action is a Section 558 Notice, or an actual lawsuit – on the expiration day. As an example, if the property owner files a claim on the last day of the Statute of Repose, and the property owner, in the discovery process, finds that another entity should more appropriately be added to the lawsuit, or be subject to a separate lawsuit, it would be too late. Thus, a plaintiff who waits may not be able to include everyone potentially liable for the construction defect. 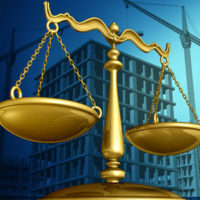 An experienced construction defects attorney can definitely assist the plaintiff with strategic matters such as this. If you are a property owner, and have noticed a construction defect on your property, wish to have it repaired, and are curious as to the options at your disposal, contact the experienced construction defect attorneys at Linkhorst & Hockin, P.A. as soon as possible. We have experience in negotiating the many aspects of Florida’s construction defect law, and will ensure that your claim meets all the requirements of the law to help you get the compensation you deserve. Contact our Jupiter office today.